On June 4th, Elastos partnered with ioeX at a signing ceremony at the Shangri-La Hotel in Taipei. ioeX is an internet of things smart platform based on the Elastos infrastructure. ioeX creates a decentralized peer-to-peer network based on existing servers and smart devices. The interconnection of devices creates a network that enables software to be updated without using an OTA server. Smart device manufacturers, software companies, and solution providers can install ioeX onto their smart devices, creating a peer node that when combined with bootstrap nodes, form a decentralized network. As more industries join the network, more devices become peer nodes, and the scale of the network increases. Smart devices require multiple software and firmware updates each year that cost the industry tens of billions of dollars. ioeX estimates that machine to machine data transmission costs could be reduced by 70% annually in their network. ioeX aims to be a solution for data transmission, temporary file storage, and online software updates, saving the smart device and IOT industry billions of dollars per year. ioeX is funded with an investment from SoftBank as well as being one of the first projects funded with an investment from EOS VC. 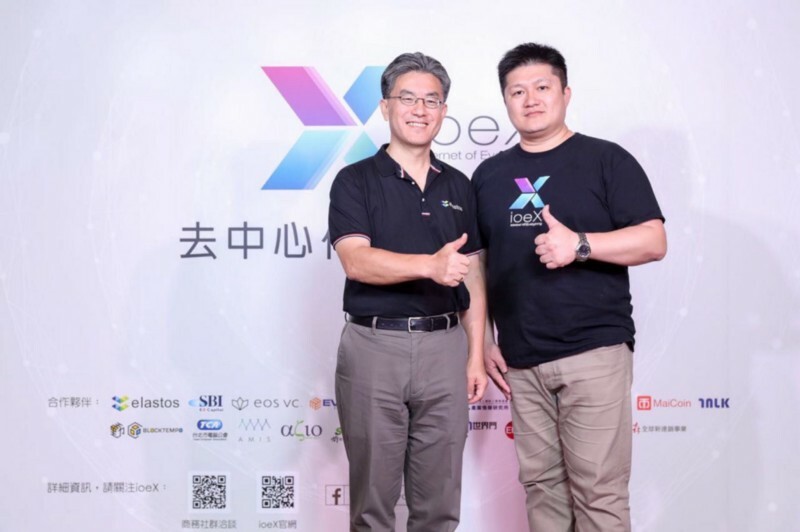 Rong Chen attended the signing ceremony with CEO and Founder of ioeX, Aryan Hung, who is a former Senior Manager at Elastos, formally called Kortide. Elastos is excited to partner with such a promising IOT and smart device solution platform. With the Elastos OS and Runtime and ioeX designed to run on all smart devices, we look forward to sharing some of the same clients and users, helping to bring out the ultimate potential of this blossoming smart industry.